Goodreads Synopsis: Sydney Sage is an Alchemist, one of a group of humans who dabble in magic and serve to bridge the worlds of humans and vampires. They protect vampire secrets—and human lives. 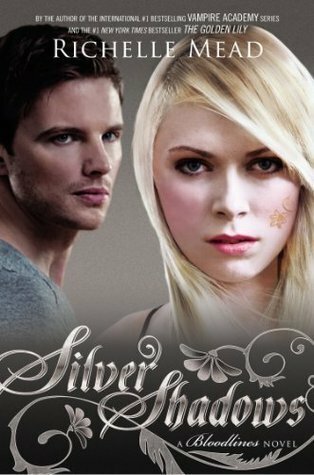 In Silver Shadows, Richelle Mead kicks up the action and suspense as alchemist, Sydney Sage is trapped in the Alchemist re-education center for her action in helping the Moroi and falling in love with Adrian. I absolutely LOVED the Silver Shadows, it was fast paced, well-written, and the dual POV worked well! Compared to the other books in the series, there's so much more at stake with Sydney and Adrian, but Mead also weaves in the Moroi court and the Jill situation. On thing that stood out in the book was Sydney and Adrian's relationship. Meade definitely focuses on them more and moves away from the Jill aspect. I actually really enjoyed it and you can really feel for Sydney and Adrian. Sydney went through sooo much in this book, it was honestly crazy. As she is trapped in the alchemist re-education center she tries to befriend others and find a way out. I love Sydney's fast thinking and her resourcefulness makes her such a strong character. In addition, Adrian is developed a lot more in the book. Mead places him in situations that forces him to make the right choices and think about his relationship with Sydney. He is also the hero in the novel, especially with the Sydney situation. Ultimately, I Mead did an amazing job with the dual POV with Sydney and Adrian and focusing on their relationship as whole! 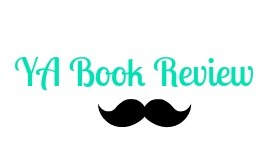 Silver Shadows definitely had elements of action and suspense that automatically drew me to read more and more. It even had some creepy moments that just made my skin crawl! I loved reading Sydney's whole showdown when she tries to escape the center and when Adrian contacts Marcus to help rescue her. The book had a lot of golden moments that were just pure amazingness, and it was worth the read. Definitely pick up Silver Shadows if you are reading the series, it was one of the BEST! I liked the end of of the book so freaking much. I think by this point I had serious series fatigue but the ending was so freaking worth it. I loved it so much. I'm glad you enjoyed it! I didn't really take a shining to this series, unfortunately. I hope you'll enjoy the rest of the books, though.